As you grow older, the changes in your hair, facial and body shape, and even lifestyle can catch you off guard. But, what about the changes that occur with your mind? 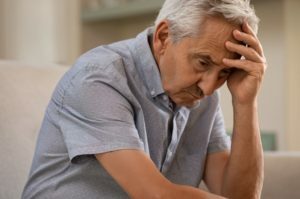 While yes, it is natural to be a bit more forgetful as you age, it could be that you are showing early signs of Alzheimer’s disease. And what about your oral health? Are you taking care of it with good oral habits? A dentist in Toledo explains how the status of your oral hygiene can impact brain function and the possibility for Alzheimer’s. Do you want to keep your teeth as healthy as possible in between visits to your dentist in Toledo? Getting enough fluoride is essential. Otherwise your teeth will be at heightened risk for enamel loss and cavities. Fortunately, it’s easy to get the fluoride you need from unfiltered tap water, major toothpaste brands, or dentist-prescribed treatments. There’s nothing more natural, or more beneficial to dental health, than this humble product. For many Americans, the thought of visiting the dentist for any form of care causes anxiety or phobia. Unfortunately, it blocks many of them from receiving the dental care they need. With sedation dentistry, though, they are able to receive treatment without having to endure an uncomfortable visit. Your sedation dentist in Toledo explains the different ways available to calm frayed nerves. 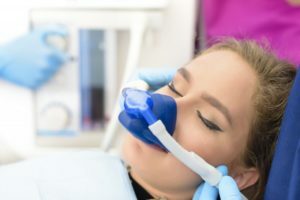 Additionally, you’ll learn what to expect from each form of sedation dentistry. How Long Should You Expect Your Teeth Whitening in Toledo to Last? When you have stained teeth, you’re always wondering whether other people notice the discoloration. Studies show that, more than likely, the people you encounter will notice the condition of your smile before anything else. With teeth whitening in Toledo, though, the look of your teeth can be rejuvenated. The next concern is how long the results will last after treatment. Read on to find out. 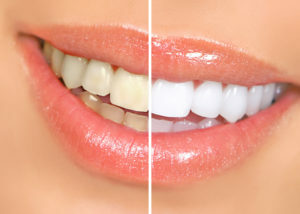 Comments Off on How Long Should You Expect Your Teeth Whitening in Toledo to Last? Seeing your dentist in Toledo for regular cleanings and checkups is a good idea. But exercising good self-care at home is just as important. This includes not only regular brushing and flossing but taking care of your toothbrush as well. 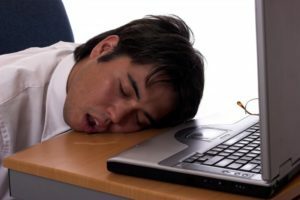 It’s embarrassing to wake-up to a wet spot on your pillow after a night of intense snoozing, but your dentist in Toledo says that if drooling is something that you do often, it could be a sign of a greater issue. As you read on, you’ll learn what could be the cause of your drooling, what can be done to correct the problem and how to prevent greater issues from arising. 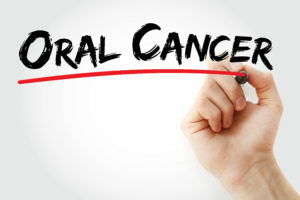 Take a Stand Against Oral Cancer with Your Dentist in Toledo! 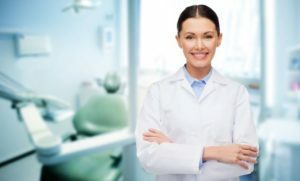 Dentists all around the country have joined forces to emphasize the importance of preventive care visits in April, as this is National Oral Cancer Awareness Month. This year, over 40,000 people will be diagnosed with this disease. Thus, one of the goals of professionals is to reverse the trend of the rising number of new cases. Your dentist in Toledo is eager to do his part, which is why he encourages you to maintain preventive care visits to get a full oral cancer screening. Learn more about this disease and how you can fight it as you read on. Comments Off on Take a Stand Against Oral Cancer with Your Dentist in Toledo! 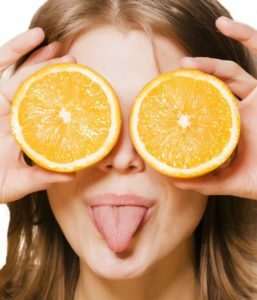 Why Is My Tongue Orange? Your Family Dentist in Toledo Answers! Comments Off on Why Is My Tongue Orange? Your Family Dentist in Toledo Answers!